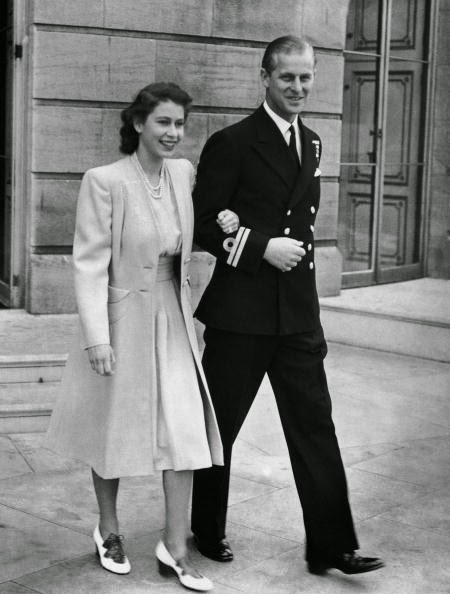 Their first publicised meeting had been in July 1939 at Dartmouth Royal Naval College, where Philip was studying. 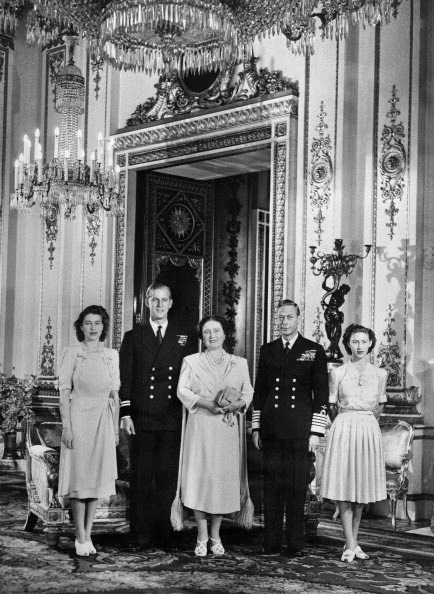 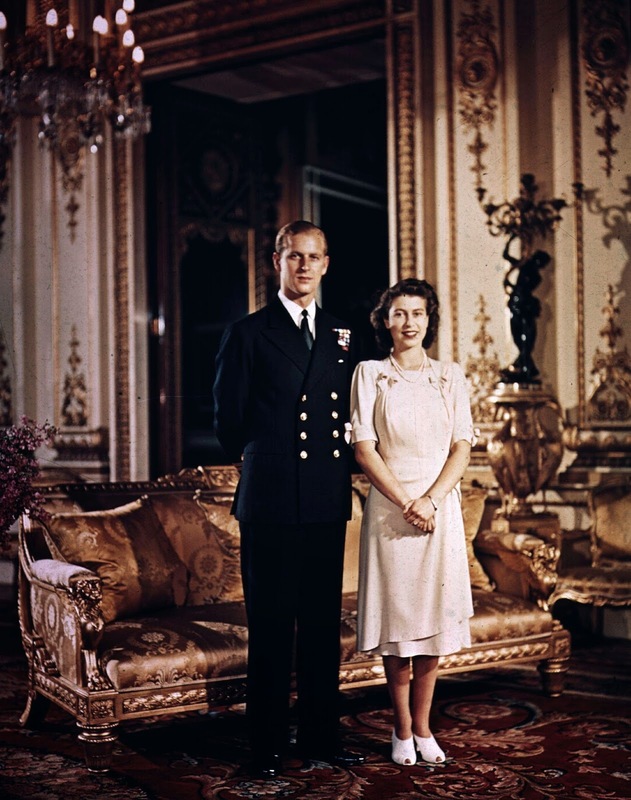 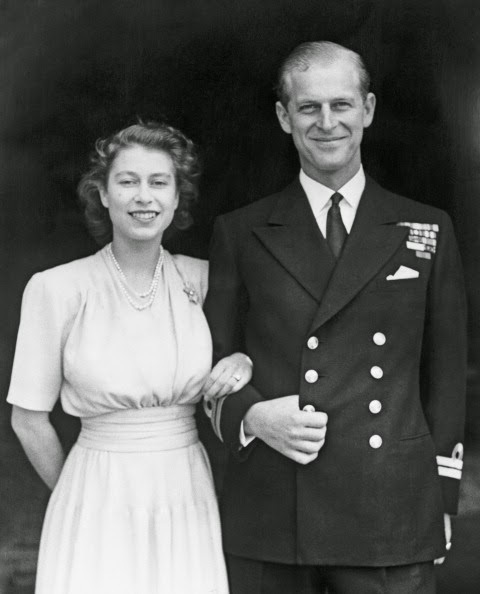 By the mid-1940s, media speculation about a romance was well under way and, in February 1947, Prince Philip, a member of the House of Schleswig-Holstein-Sonderburg-Glucksburg, renounced his Greek royal title and became a naturalised British subject, adopting the surname Mountbatten from his maternal grandparents. 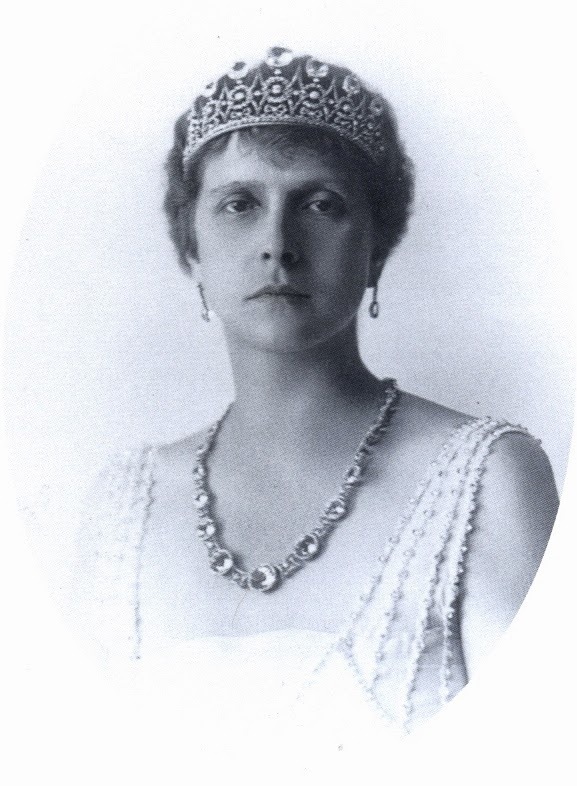 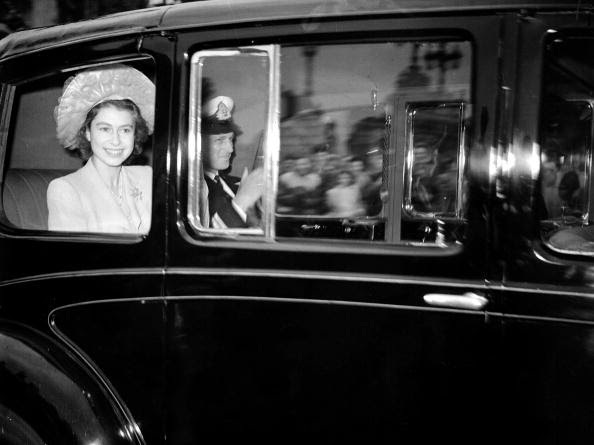 Princess Elizabeth was presented by her fiancé with a platinum and diamond engagement ring made by London-based jeweller Philip Antrobus Ltd., using a 3-carat brilliant and smaller stones taken from a tiara given by Prince Philip's mother, Princess Alice of Battenberg. 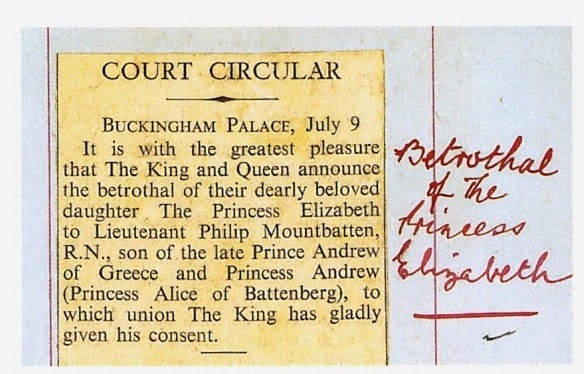 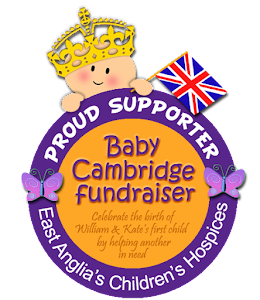 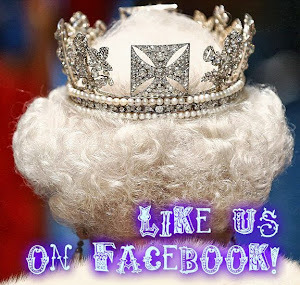 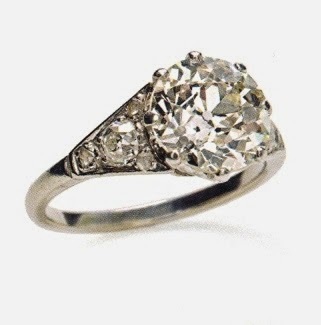 It was first worn in public by the Princess on 10 July 1947, the day after the announcement of the engagement. 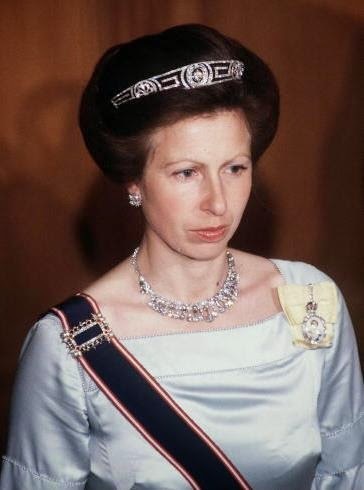 The Princess Royal wearing the Greek meander tiara at a Guildhall banquet in April 1988 and Zara Phillip on her wedding day, 30 July 2011. 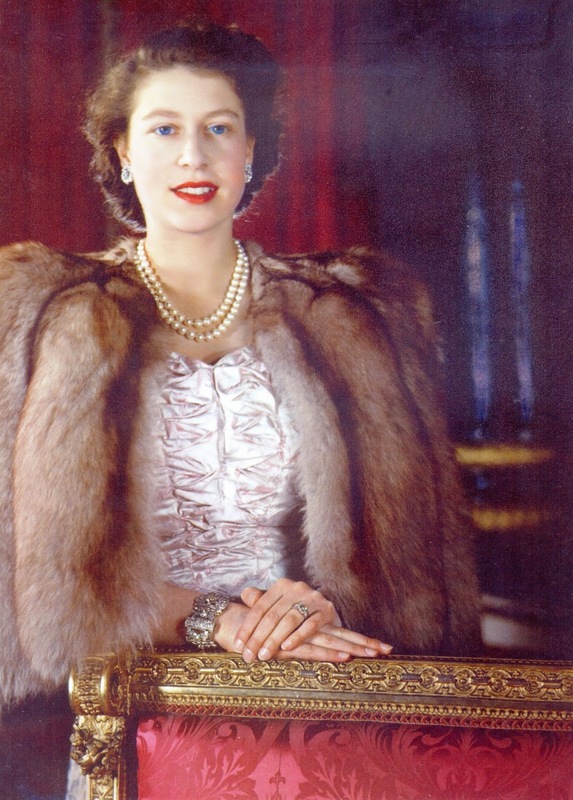 Princess Elizabeth wearing the bracelet and engagement ring in a 1947 photo by Mountstuart William Elphinstone.